Hop on this no coupons needed Charmin Deal at Office Depot right now! 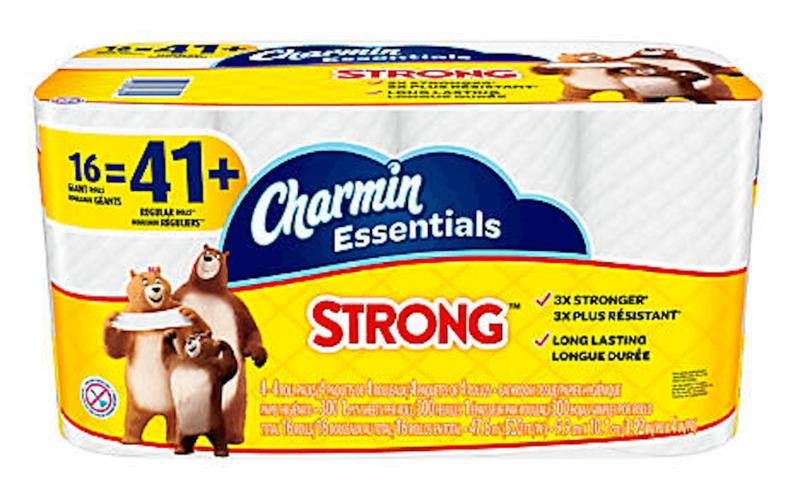 Get Charmin Essentials Strong Bath Tissue GIANT ROLLS (300 sheets per roll) for just $6.00 + Free Store Pick Up. That is $0.38 per giant roll of toilet paper! GREAT Price! You can also get free shipping on orders over $35. They also have Charmin Essentials Soft Bath Tissue for the same price if you like that one better! Rocky on FREE ShopRite Brand 18ct Large Eggs !